A350 XWB News: Airbus to decide in 2013 if adding another assembly line for A350-1000. 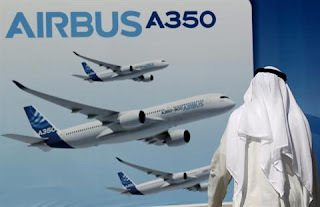 Airbus to decide in 2013 if adding another assembly line for A350-1000. Airbus said it’s looking to add another assembly line for the new A350 wide-body plane to meet rising demand as Airlines show no sign of putting orders on hold after Boeing’s battery troubles with the 787 Dreamliner. With more than 600 orders placed for the A350, due for its first flight this summer before deliveries begin in the second half of next year, Airbus is looking at adding capacity for the largest -1000 variant, chief operating officer John Leahy said. 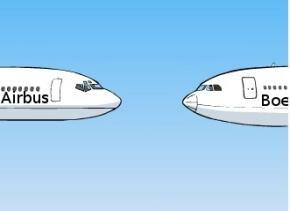 “I would like to believe that sometime this year we’ll be able to make a decision to do that,” Leahy, who is also Airbus’s chief salesman, said in an interview in Singapore. Production of the baseline A350-900 began in October/2012, with the smaller -800 due to enter service in 2016 followed by the -1000 in 2017. Demand for new models will continue to be driven by a need to cut fuel bills, Leahy said, adding that Boeing will find a fix for the 787’s glitches, which won’t ultimately impact sales at either manufacturer. Leahy said that the A350 has been “very popular” in Asia. That’s after Airbus Chief Executive Officer Fabrice Bregier said on 23/Oct he was confident the company could sell 70 or 80 -1000 variants a year as customers upgrade to bigger jets, compared with a previous planning assumption of 40 or 50. The 350-seat -1000, which has a list price of $332 million, broke a four-year sales drought on 11/July as Cathay Pacific Airways of Hong Kong placed an order for 10 aircraft. The model has accrued 105 firm commitments in total.